I do not wish Remembrance week to come to an end without mentioning 11 November 1940, Armistice Day, as it was then called. 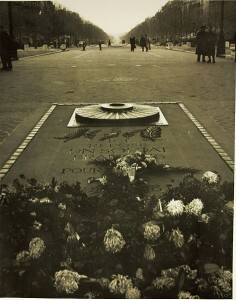 In German-Occupied France, the Nazi authorities were fearful that any formal observance of Armistice Day would incite a demonstration. They forbade ceremonies of any kind, even church services or commemorations at war memorials. When the time came to make a stand, it was the young people—rather than the veterans—who defied the ban. French students staged a massive protest against the Occupation and paraded along the Champs-Élysées—which, since the fall of France, had become the purview of the Wehrmacht and its marching bands. 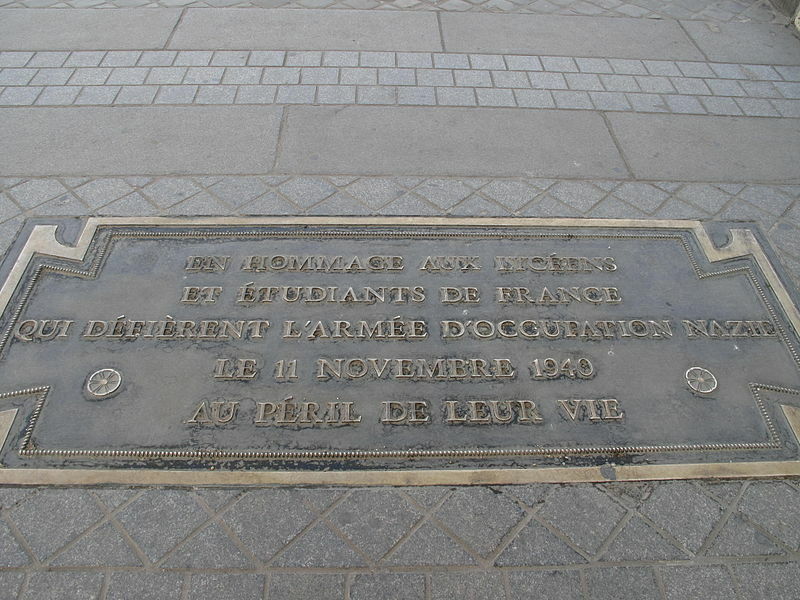 The plaque located in the pavement near France’s tomb of the unknown soldier commemorates the event. Many of the students were arrested. Many were sent to prison. This entry was posted in World War II and tagged Armistice Day, students. Bookmark the permalink.